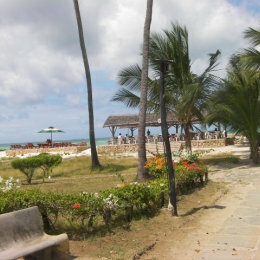 The Big Tree Beach Hotel is located on Bamburi Beach, Mombasa, Kenya. It's a popular and lively bar with a private beach ideal for a beach holiday with all facilities for food, drink and entertainment on your door-step. Situated on the north coast just 12 km north of Mombasa, this hotel lies between two headlands separating it from Nyali Beach to the south and Shanzu Beach to the north. 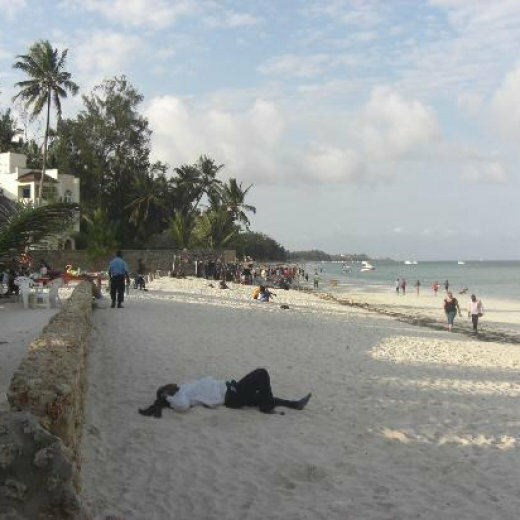 Relax on the unspoiled, pale golden sands of Big Tree Beach that shelves into the warm waters of the reef protected Mombasa Marine National Park. Flanked with palm trees and flowering plants, Big Tree has its own popular private beach where you can enjoy the Indian Ocean. The hotel offers a selection of rooms, a cottage and beach front accommodation. It also offers food, drink and entertainment in-house. Big Tree Beach Hotel facilities include sun loungers, umbrellas and on the beach you can find a range of water sports such as sailing, waterskiing, jet skiing, sea kayaking, windsurfing, fishing, snorkelling and scuba diving.